Book through Klook and visit two of the best snorkeling areas in the beautiful island of Bali! Marvel at the majestic, tropical marine life and befriend cuttlefish, angelfish, cowfish, and even moray eels! Driver pick up always on time. Blue lagoon very pretty. Exciting when saw instructor feeding fishes. Coral reef very colourful. Tanjung jepun have less fish compared to blue lagoon. Instructor will lead us to see different fish and squid. Food prepared are great. 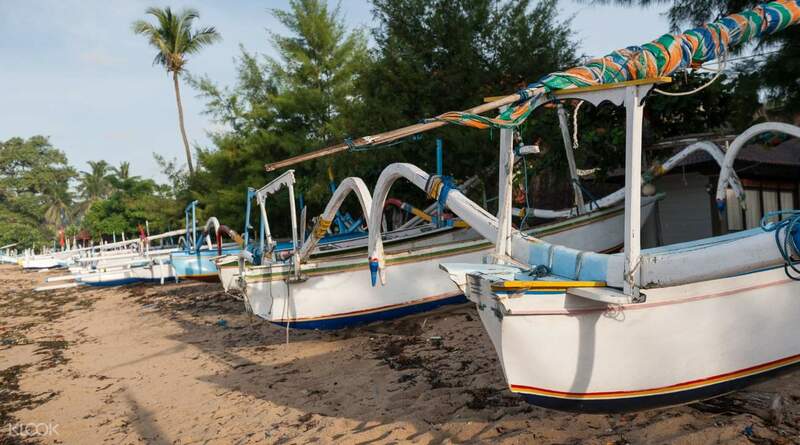 If you’re visiting the beautiful island of Bali during your trip to Indonesia, then you might want to know that one of the best things to do there is to explore its natural wonders. 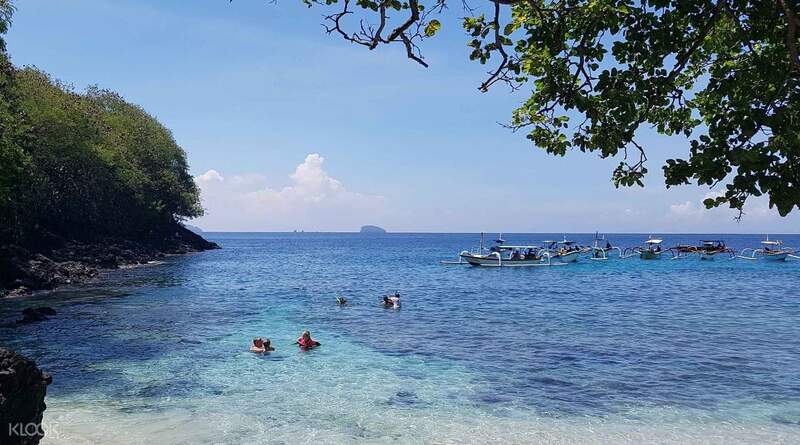 Book through Klook and experience snorkeling in two of the best swimming spots in the area: the Blue Lagoon and Tanjung Jepun! Dive into the refreshing waters of these wonderlands and discover a variety of underwater gems like colorful reefs and the majestic tropical marine life calling them home. You can even swim alongside adorable cuttlefish, angelfish, cowfish, and even moray eels. If you love the ocean, then booking this activity is definitely a must. Book through Klook and get taken to Blue Lagoon and Tanjung Jepun to go snorkeling! Take a dip into the crystal clear waters of the two water wonderlands and discover underwater gems! Driver pick up always on time. Blue lagoon very pretty. Exciting when saw instructor feeding fishes. Coral reef very colourful. Tanjung jepun have less fish compared to blue lagoon. Instructor will lead us to see different fish and squid. Food prepared are great. Driver pick up always on time. Blue lagoon very pretty. Exciting when saw instructor feeding fishes. Coral reef very colourful. Tanjung jepun have less fish compared to blue lagoon. Instructor will lead us to see different fish and squid. Food prepared are great. My driver, Mr Lase from Sun Tours was efficient, friendly and accommodating. He arrived early and ensured our journey was pleasant to and from our villa. The snorkelling instructor, Pak Wayan was really helpful in assisting and guiding my 8yr old kid. He ensured our safety at all times and brought us to great spots for snorkelling. We had a great time. Definitely recommended! My driver, Mr Lase from Sun Tours was efficient, friendly and accommodating. He arrived early and ensured our journey was pleasant to and from our villa. The snorkelling instructor, Pak Wayan was really helpful in assisting and guiding my 8yr old kid. He ensured our safety at all times and brought us to great spots for snorkelling. We had a great time. Definitely recommended! Blue Lagoon Snorkelling was really fantastic value for money. The transport was great to site. We arrived and met by owner of business and given a cold water, changed for snorkelling and then went on traditional boat to first site. Life jackets are available for people who aren’t strong swimmers. My youngest daughter, ten, was quite nervous and the guide personally looked after her. He was a legend. First site the clearest and lots of fish to see. Second site Blue Lagoon was teeming with fish and we were lucky enough to follow a turtle as it swam through a channel. Only down side there was rubbish on the surface of the water of Blue Lagoon. It had rained the day before and the owner warned this could be the case. Showers were available after activity followed by a wonderful lunch. Great day. Well worth the price. Blue Lagoon Snorkelling was really fantastic value for money. The transport was great to site. We arrived and met by owner of business and given a cold water, changed for snorkelling and then went on traditional boat to first site. Life jackets are available for people who aren’t strong swimmers. My youngest daughter, ten, was quite nervous and the guide personally looked after her. He was a legend. First site the clearest and lots of fish to see. Second site Blue Lagoon was teeming with fish and we were lucky enough to follow a turtle as it swam through a channel. Only down side there was rubbish on the surface of the water of Blue Lagoon. It had rained the day before and the owner warned this could be the case. Showers were available after activity followed by a wonderful lunch. Great day. Well worth the price. Great day snorkeling. We were picked up by Beno from Bali Sun Tours. We was on time and spoke English very well. We were taken to two spots to snorkel and had plenty of time at each spot to explore. Great day snorkeling. We were picked up by Beno from Bali Sun Tours. We was on time and spoke English very well. We were taken to two spots to snorkel and had plenty of time at each spot to explore. A good tour for snorkelling experience. On time pick up by the driver at the hotel with a simple lunch provided after activities. But the water wasn’t very clear for a good visibility of fishes. A good tour for snorkelling experience. On time pick up by the driver at the hotel with a simple lunch provided after activities. But the water wasn’t very clear for a good visibility of fishes. We had a great experience snorkelling at Blue Lagoon with Klook! Our driver Lisa was excellent - he was extremely friendly, punctual and spoke English with us. Our diving instructor was very thorough in making sure we felt safe during the snorkelling experience. We saw beautiful views of coral and colourful fish. Overall a good experience! We had a great experience snorkelling at Blue Lagoon with Klook! Our driver Lisa was excellent - he was extremely friendly, punctual and spoke English with us. Our diving instructor was very thorough in making sure we felt safe during the snorkelling experience. We saw beautiful views of coral and colourful fish. Overall a good experience!